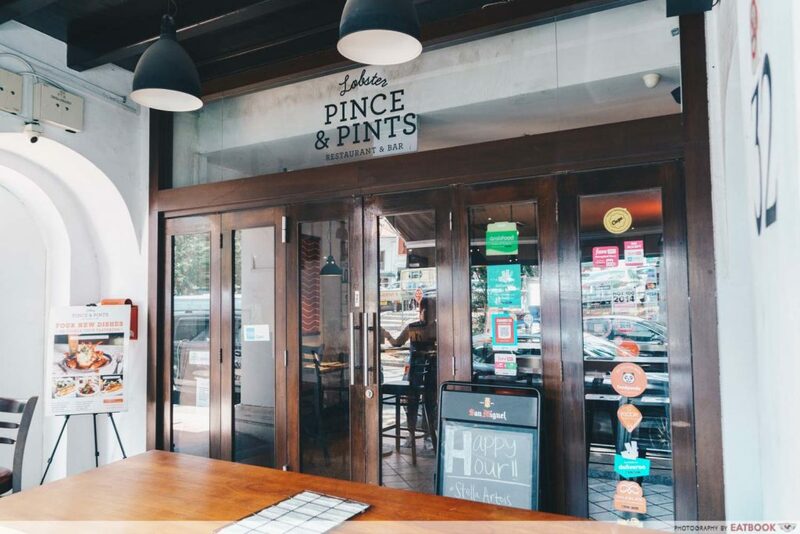 Drawing up a huge crowd for their lobster rolls since 2014, Pince & Pints has a new addition to their menu, with five crab dishes that are exclusive to the Duxton Road outlet. 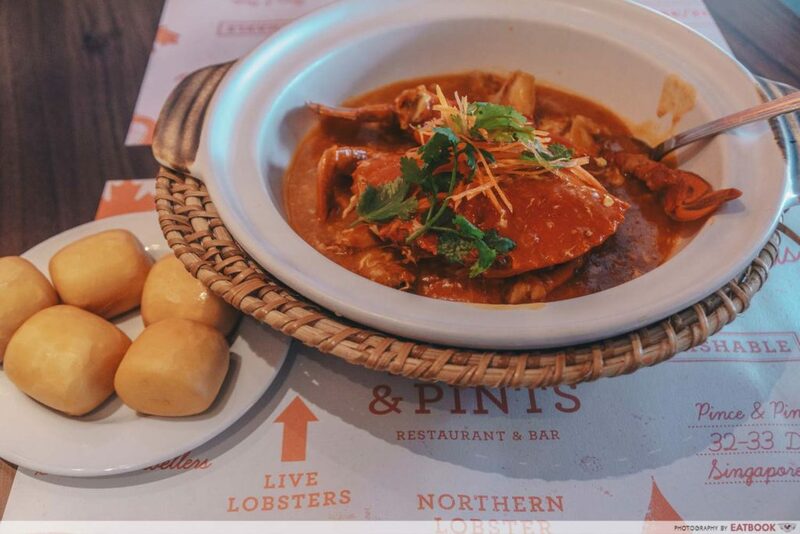 Just like their lobsters, the Sri Lankan mud crabs undergo stringent rules and regulations to ensure they are fresh and nice. 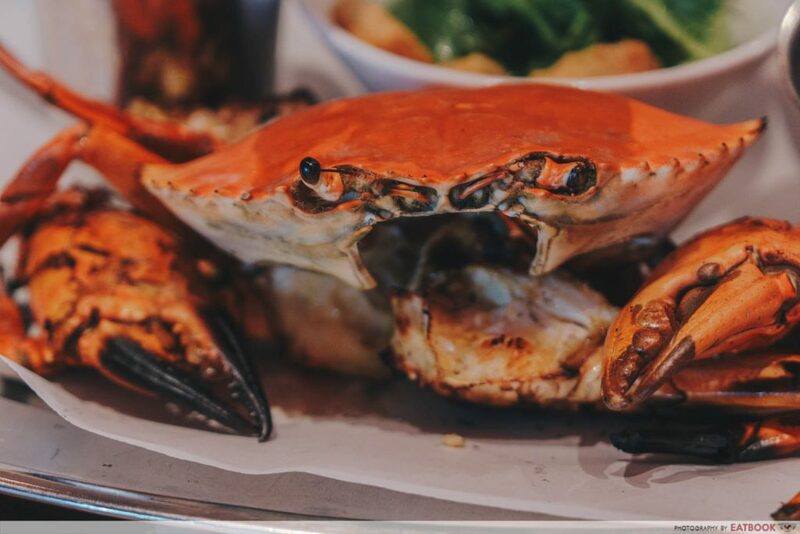 Each crab needs to meet the minimum weight of 500 grams, ensuring you get crustaceans that are fleshy and full of flavour. Unlike some seafood restaurants, the crabs are sold at fixed prices. This transparent pricing allows you to dine in peace without the fear of any shocking bills. All of this inevitably translates to quality dishes. The Whole Live Grilled Crab ($55++) was my favourite, and I have to admit that I’ve not tasted such a fresh-tasting crab in quite a while. 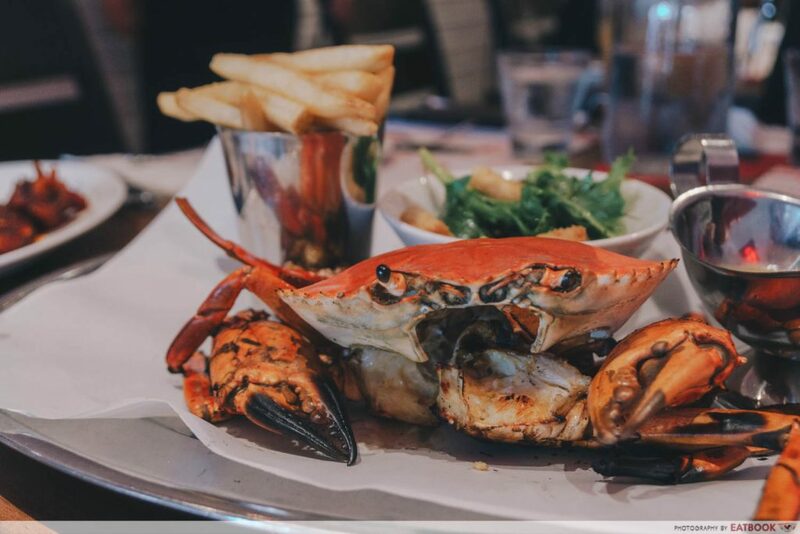 Similar to how their lobsters are prepared, the crab is basted with butter and seasoned with salt and pepper before being grilled. 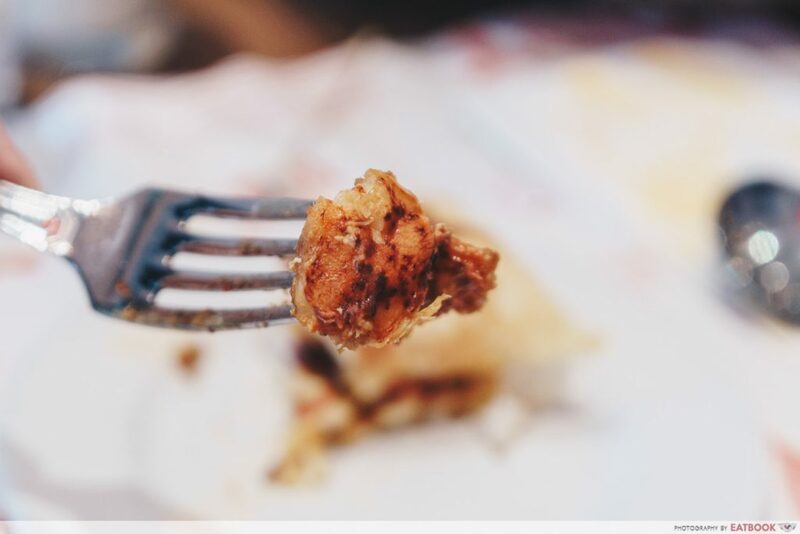 This process retains the crab’s natural sweetness while giving a nice bit of smokiness to it. 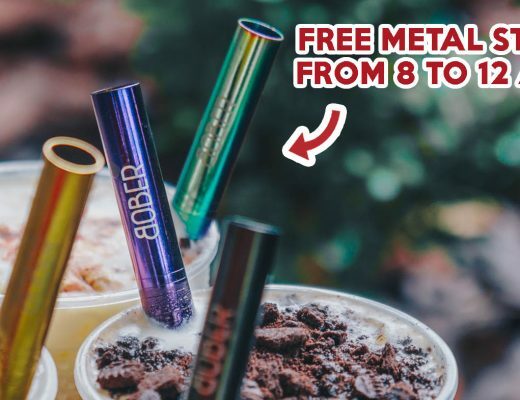 Straight-cut fries, chef’s salad, and an addictive creamy butter sauce are also provided on the side. My dining companion and I enjoyed dipping huge chunks of crab into the sauce for a buttery boost. There’s also a touch of Asian innovation with the Cantonese-style Whole Live Steamed Crab in Egg White ($55++). Egg whites and crab are steamed together, allowing the flavourful crab essence to be infused with the creamy egg. 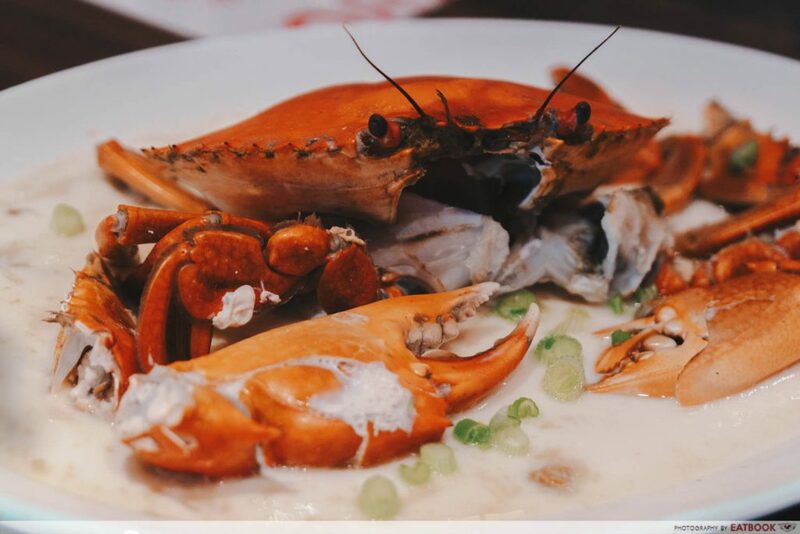 This simple method of preparation is highly recommended for those who want to appreciate the crab’s rich and naturally briny taste. 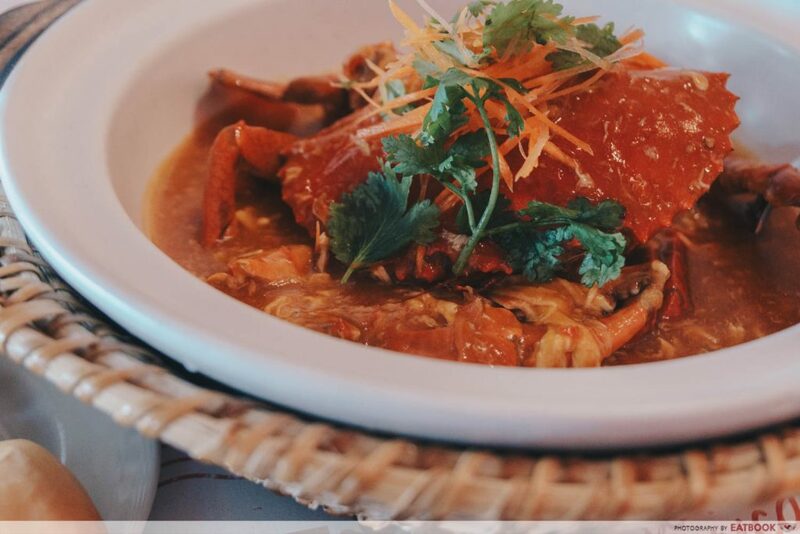 If you’re craving for local flavours, or just want to bring some foreign friends to try one of Singapore’s famous crab dishes, be sure to give their Whole Live Black Pepper Crab ($58++) and Whole Live Chilli Crab ($58++) a try. The latter uses a special house-made blend of chilli paste, accompanied by a good balance of sweet and spicy notes. 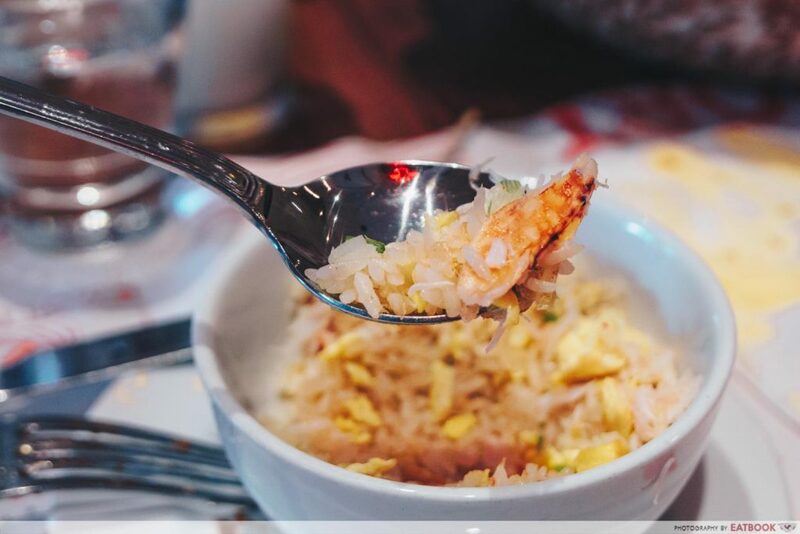 If you still feel like adding some extra carbs to your meal, consider getting the Crabmeat Fried Rice ($18++). 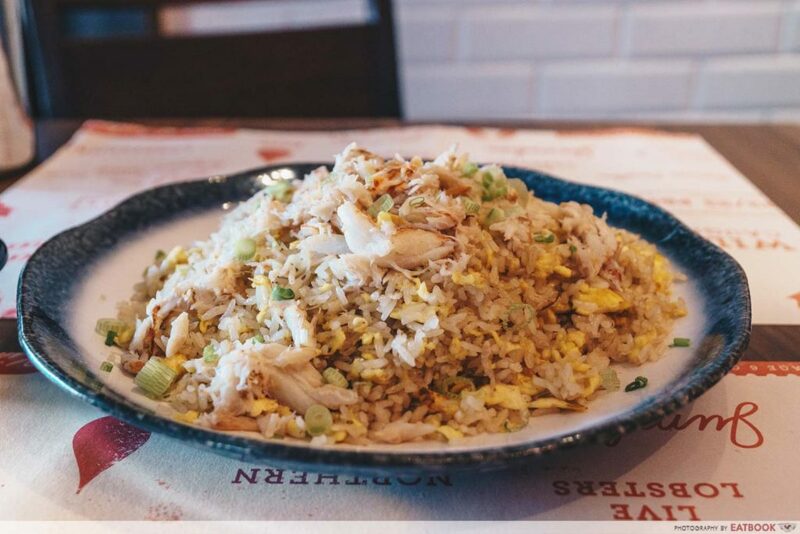 Fried with loads of egg and a generous breath of wok hei, the rice is given a touch of luxury with fresh chunks of crab meat. Popular favourites such as their Signature Lobster Roll ($58++) can still be found on the menu, and it has not disappointed since my last visit a year ago. 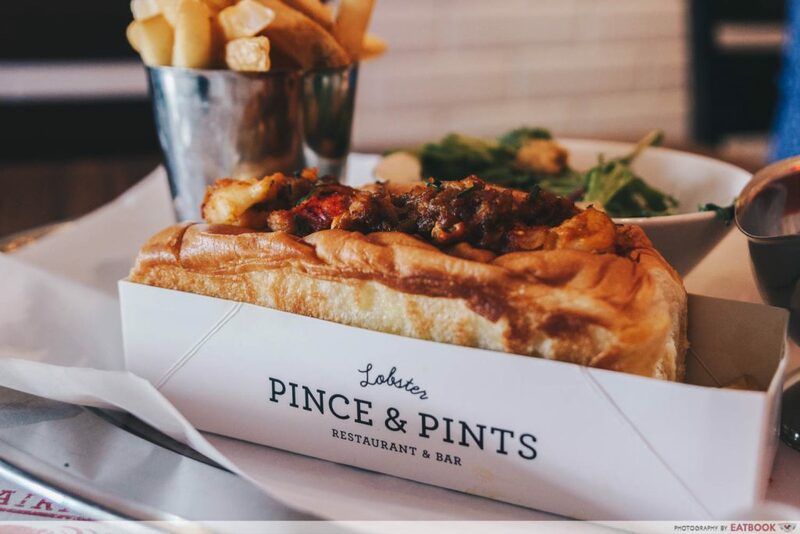 Filled with chunks of firm lobster meat, they’re sandwiched between fluffy brioche buns and topped with a tasty house-made sauce. While it was a little confusing to encounter crab fried rice and lobster roll on the same menu, it’s nice to come across such a wide variety of seafood dishes here. Seafood lovers will definitely feel comfortable at this place. 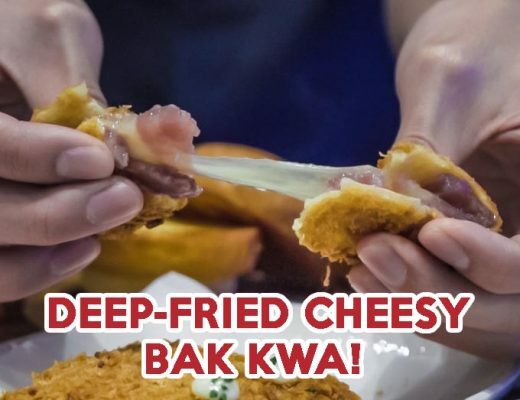 If you’re still feeling in the mood for interesting variants of crab, be sure to check out the Chilli Crab Burger at Wok In Burger and the Chilli Crab Doughnuts at Doughnut Shack! This was a media tasting at Pince & Pints.